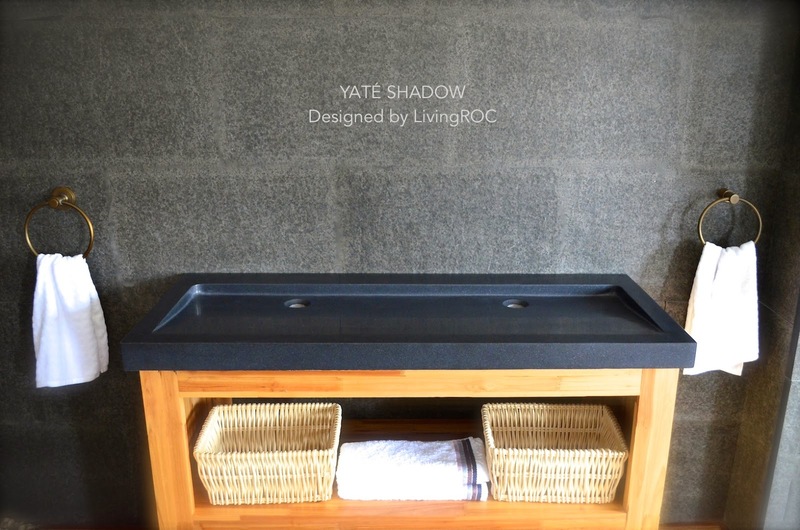 Here at LivingRoc we have created some beautiful trough sinks to delight your home with a natural trendy stone product with sleek inviting lines. 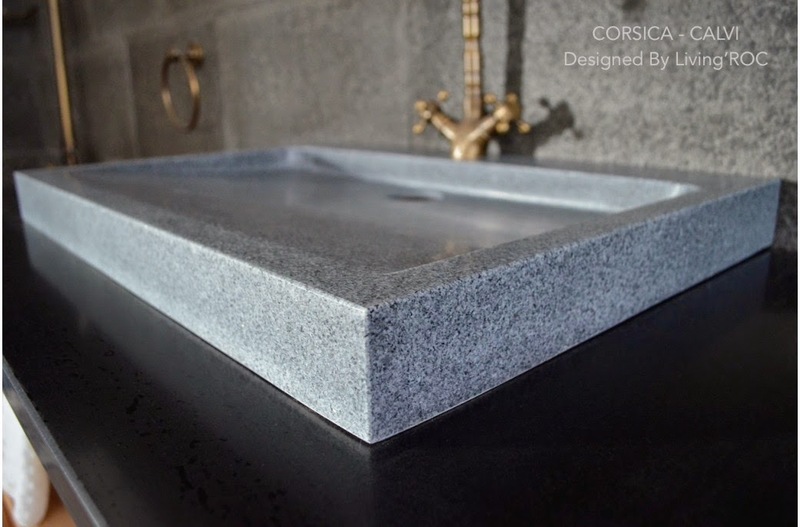 Could you imagine one day remodeling your bathroom space with a large basin made from pure black granite, sought after by specialists around the world? 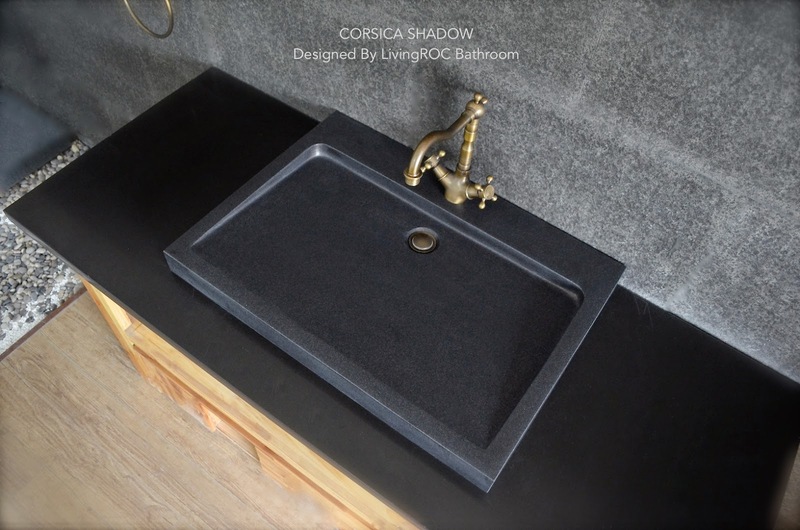 Discover the well–being provided by this beautiful piece made from genuine Shanxi pure Black Granite, CORSICA SHADOW has sleek lines and Zen-style give a simple but chic look to your bathroom. 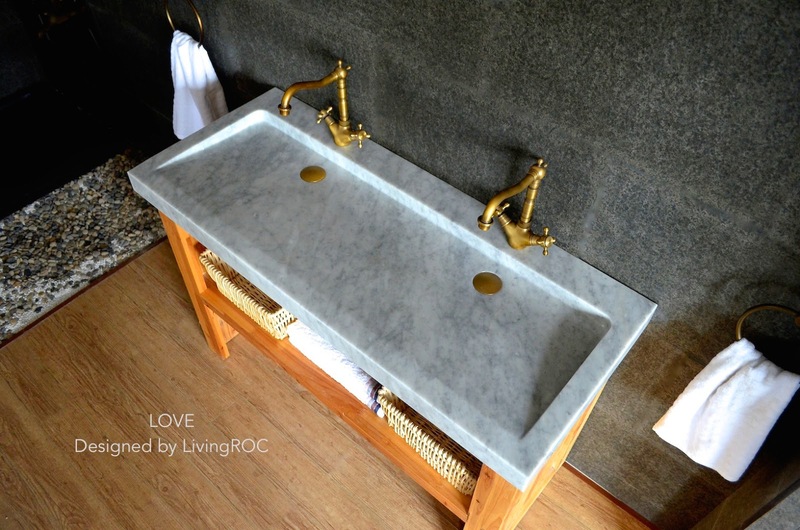 Cut from a Trendy Gray granite block you will love its generous size for a single bathroom trough sink. 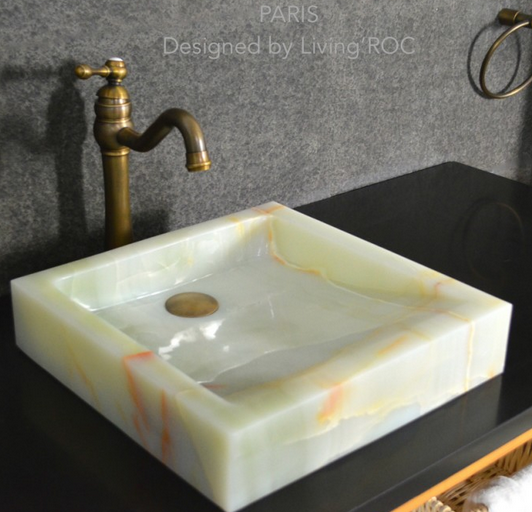 CORSICA is a unique product in the U.S.A. You will not let anyone feel indifferent with this very design living'ROC creation designed by our french designer Florent LEPVREAU. 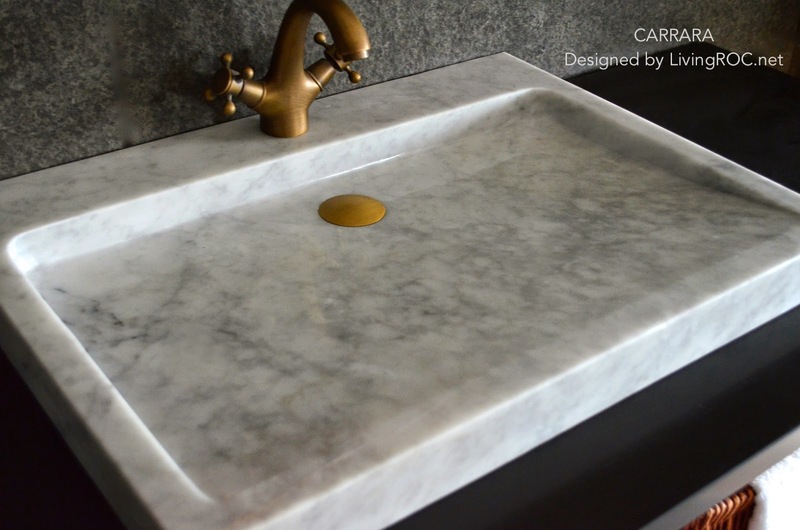 Made from a superb block of Carrara White Marble this bathroom vessel sink will delight lovers of beautiful work, looking for rare, products. Add value to your home by transforming your bathroom into an oasis of elegance, calm, and tranquillity. Discover the well-being and the restful feeling our creation can offer you. CARRARA is one of the most fashionable in our bathrooms range. 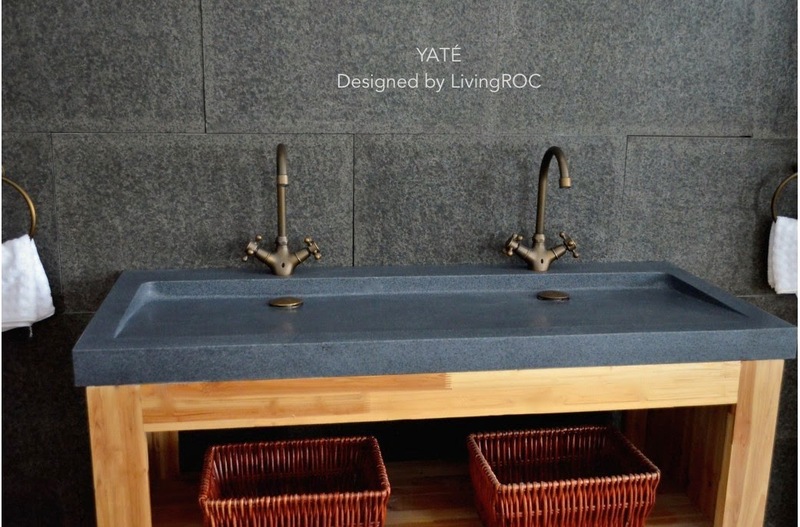 Our 47" Natural Trendy Stone trough sinks can be either displayed on a vanity or can be wall-mounted. Available in the very popular Carrara white marble with gray tones thru out. Could you possibly imagine putting 100% natural Gray granite or pure Shanxi Black Granite in your surroundings. Discover the well–being provided by these beautiful pieces, with sleek lines and Zen-style give a simple but chic look to your bathroom. These trough bathroom sink is from the AQUADEOS range created only from selected natural stone. Inspired by the model FOLE'GE (at 63' is better adapted to larger spaces) our 47" trough sinks will beautify a smaller space and will provide a modern, serene, and trendy atmosphere in your bathroom. Polished finishes and its very convenient slope will add practicality to beauty.